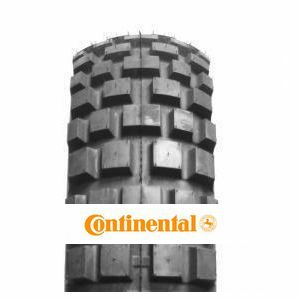 Continental's TKC 80 Twinduro is a versatile tyre that crosses over from backroads to highways seamlessly. It was designed to cope well with long hauls and superbike competitions. Great capacity for self cleaning and stability on soft surfaces. More confidence in the wet than with some road tyres. In the dry, just throw the bike about. Used this tyre before on other road bikes and not had any bum-clinching moments on bends in the wet. For reference, my 650 cc is putting out 48 bhp so not a tyre-shredding output. Good grip in the mud, though, not as much as a Pirelli MT43, but that is a trials tyre. To review the Continental TKC 80 Twinduro, you first have to log-in by clicking here.